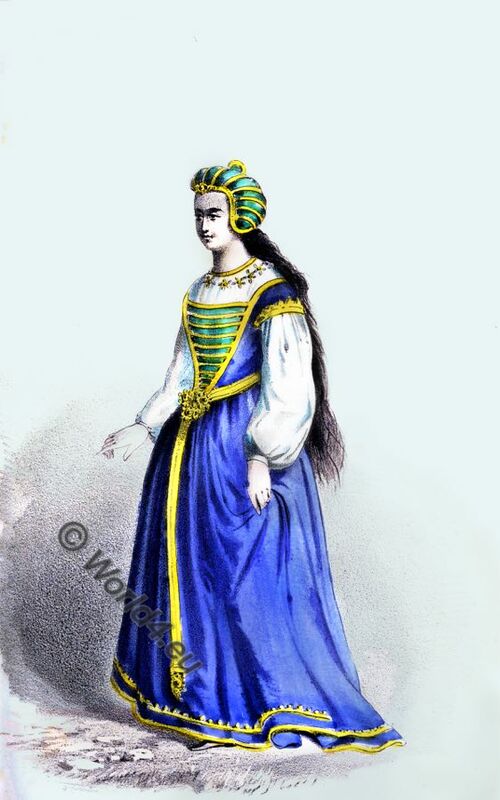 Medieval costume history. The period between the end of antiquity and the beginning of modern times about the 6th to the 15th century. It includes as superordinate, the Byzantine, Merovingian, Carolingian and Burgundian costume eras. 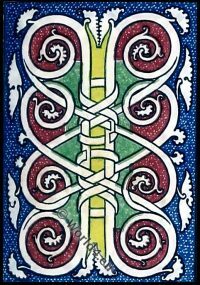 Therein are the Gallic, Celtic, English-Saxon, Normans, Gothic, Romanesque included. 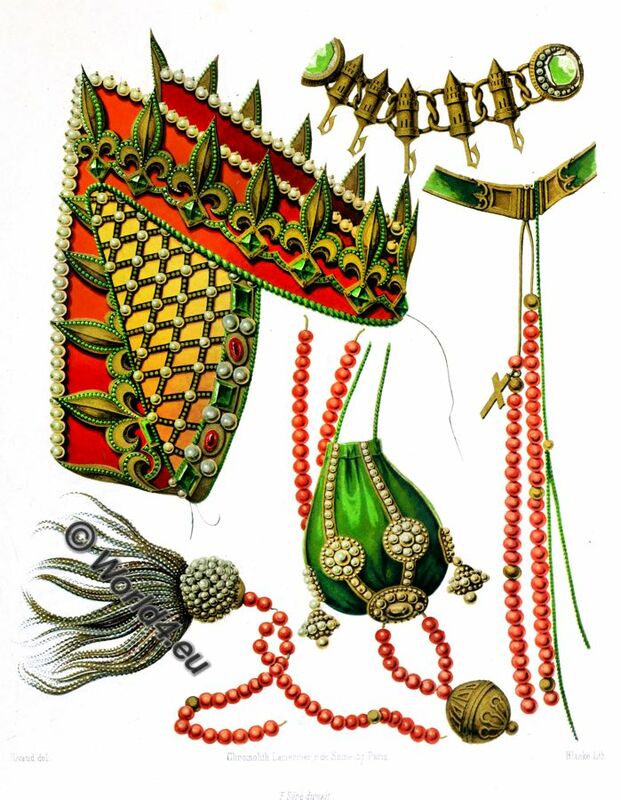 Head-dress, Clasp for a Cloak, Rosary and Alms-box. 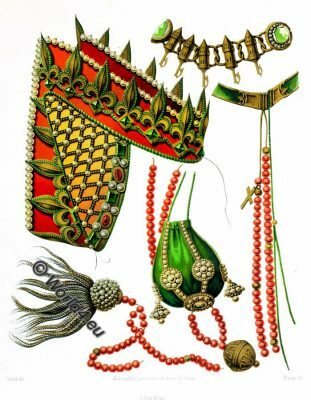 This entry was posted in 15th Century, Accessoires, Middle Ages, Renaissance and tagged Medieval costume, Renaissance fashion era on 7/15/17 by world4. 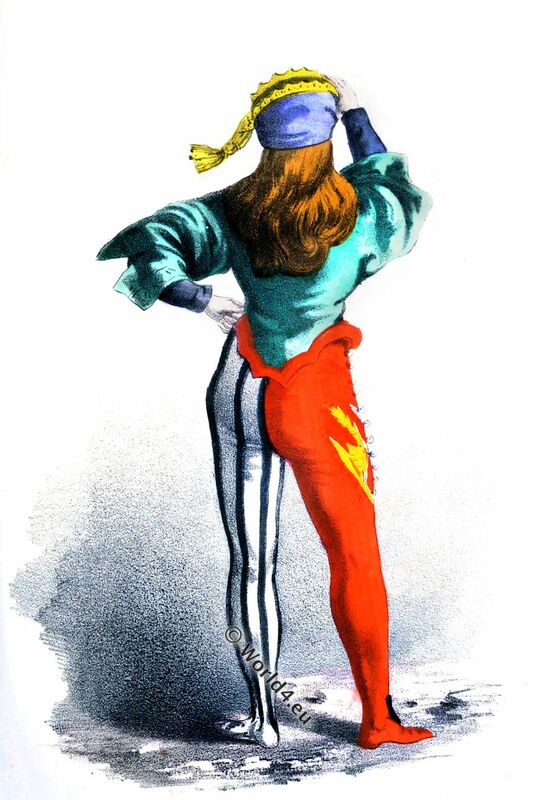 The Garter. Orders of Knighthood. Knight of the Order of the Garter. British order of chivalry. A KNIGHT OF THE GARTER. This entry was posted in 14th Century, England, Middle Ages, Military, Nobility, Plantagenet and tagged Henry Shaw, Knighthood, Medieval costume, Military order on 7/12/17 by world4. 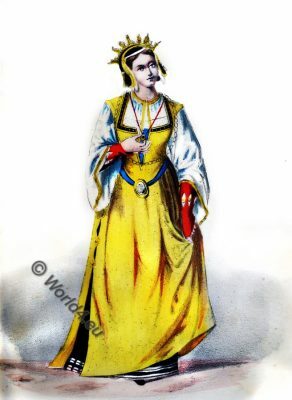 This entry was posted in 13th Century, Germany, Middle Ages and tagged Burgundian fashion period, Gothic costumes, Medieval costume on 5/30/17 by world4. 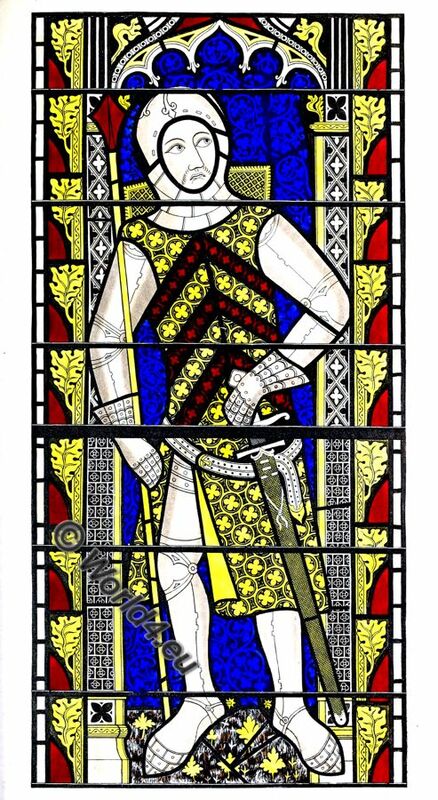 Gilbert de Clare, Earl of Clare. From Tewkesbury Abbey Church. Date about 1340. 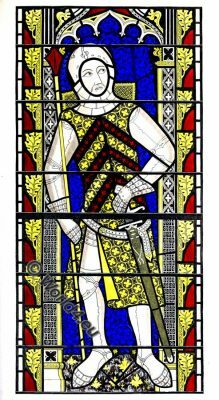 Gilbert de Clare, 4th Earl of Hertford, 5th Earl of Gloucester, 1st Lord of Glamorgan, 7th Lord of Clare (1180 – 25 October 1230). 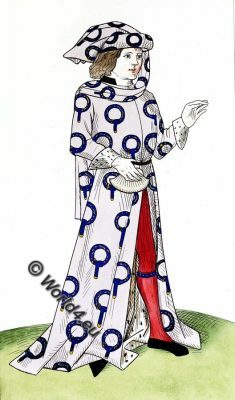 This entry was posted in 12th Century, 13th Century, British fashion history, England, Middle Ages, Military, Nobility, Plantagenet and tagged Henry Shaw, Knighthood, Medieval costume on 5/22/17 by world4. English kings Henry I and King John. 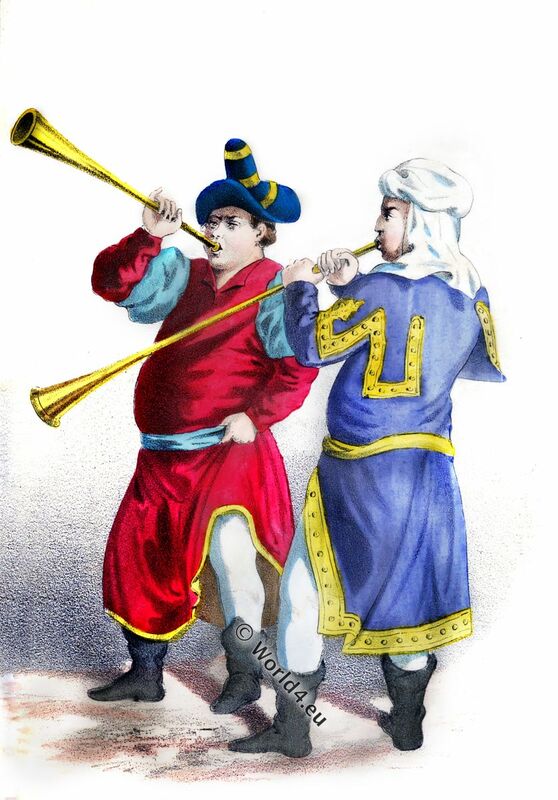 12th century costumes. Henry I (c. 1068 – 1236) and king John (1167 – 1216). 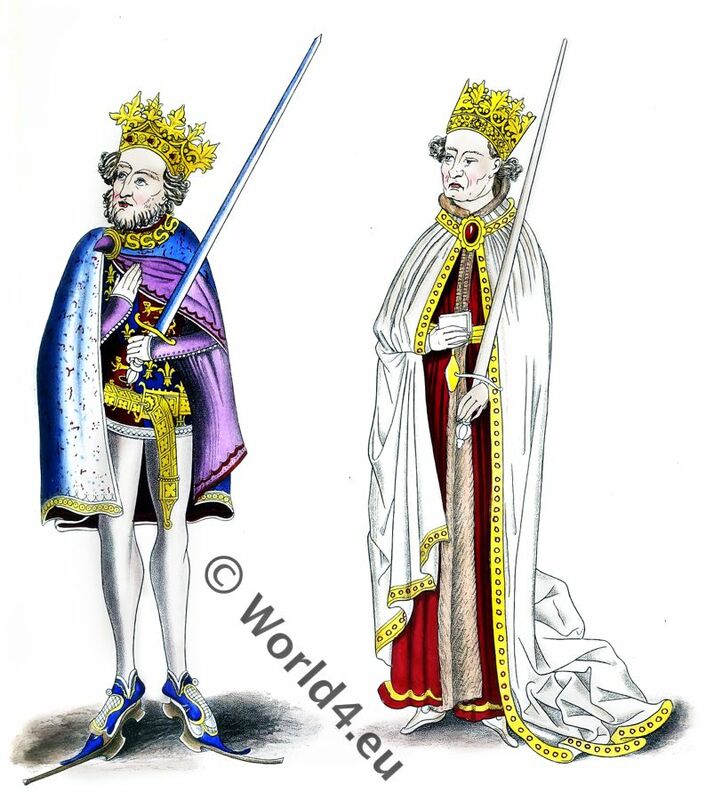 English kings Henry I and King John. 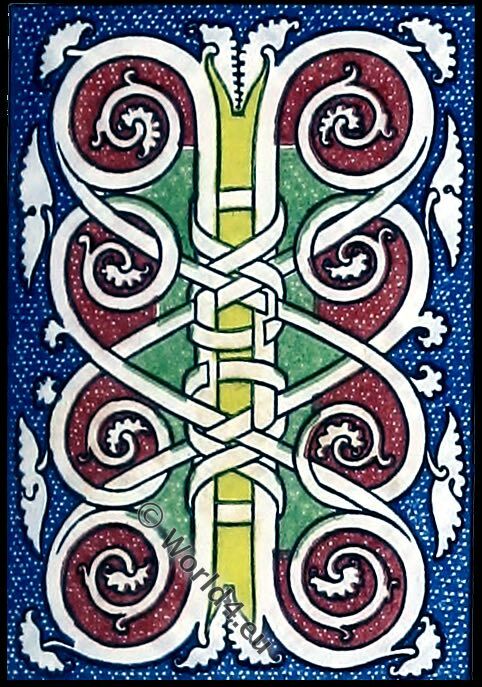 IN one of the Cottonian manuscripts (Julius, E. IV. ), a brief metrical chronicle of the kings of England, which has been attributed to John Lidgate (1), and which was composed soon after the 10th Hen. VI., is illustrated by a series of singular and bold drawings of the monarchs whose reigns it commemorates. Two of these figures are given on the accompanying plate, which were intended to represent Henry the First and King John. The costume of King John is rather remarkable, particularly the high clogs which he has on his feet. 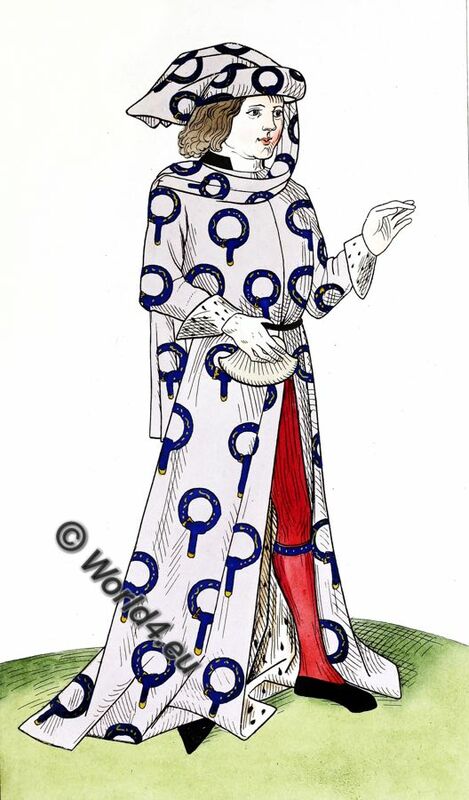 This entry was posted in 11th Century, 12th Century, British fashion history, England, Middle Ages, Nobility and tagged Henry Shaw, Knighthood, Medieval costume on 4/25/17 by world4. A Young Venetian. Italy 14th century. 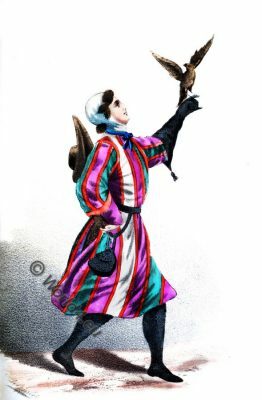 A YOUNG VENETIAN OF THE SOCIETY DE LA CALZA. 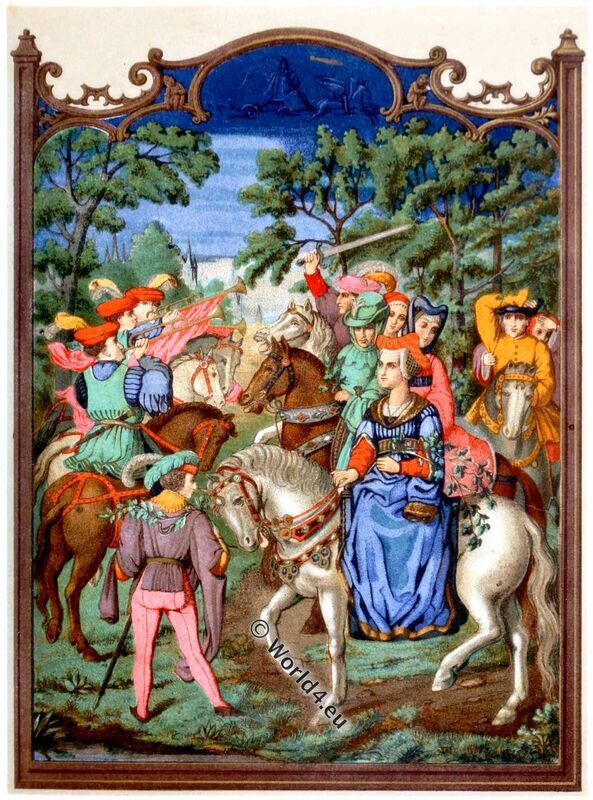 Middle Ages, Early Renaissance era. 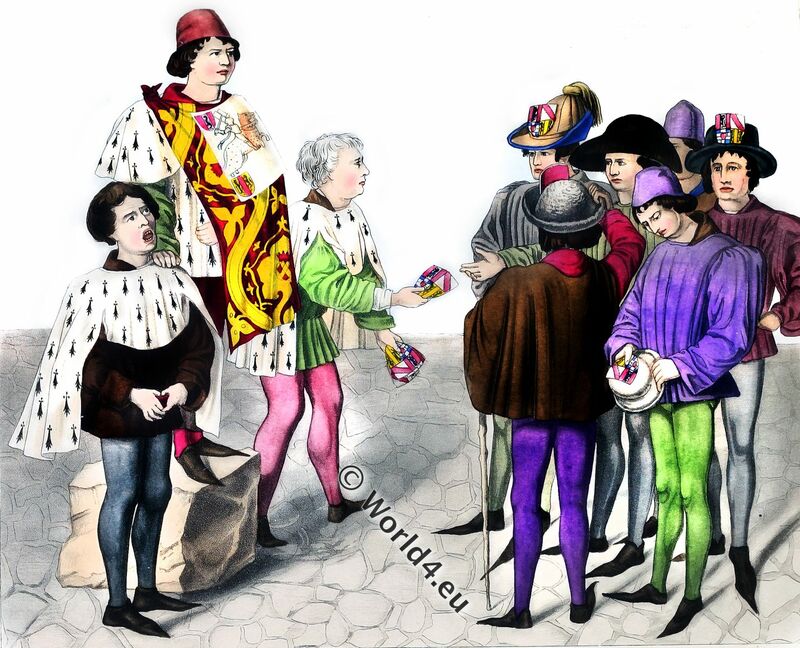 This entry was posted in 1400, 14th Century, Italy, Middle Ages, Renaissance and tagged Medieval costume, Renaissance fashion era on 3/15/17 by world4.